The index opened strong around 7871 and stayed positive for the entire session of trade with the only dip being bought with ease around 7850. Nifty closed above 7900 for the first time this month at 7900.40, gain of 51.55 points. The broader market was strong with 996 advances to 543 declines. Range for the series is at 7700-8100. 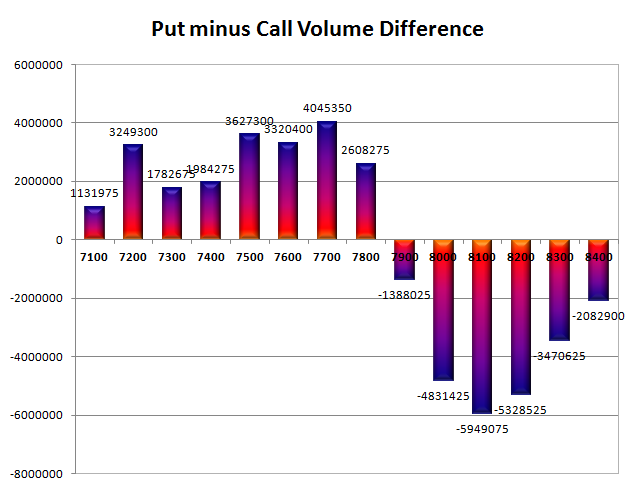 Call option 7900-8400 added 5.32 lacs OI with short covering at 7800 and below strike prices. Put option 8000-7700, 7500-7100 added huge 32.75 lacs OI with profit booking at 7600 strike price. 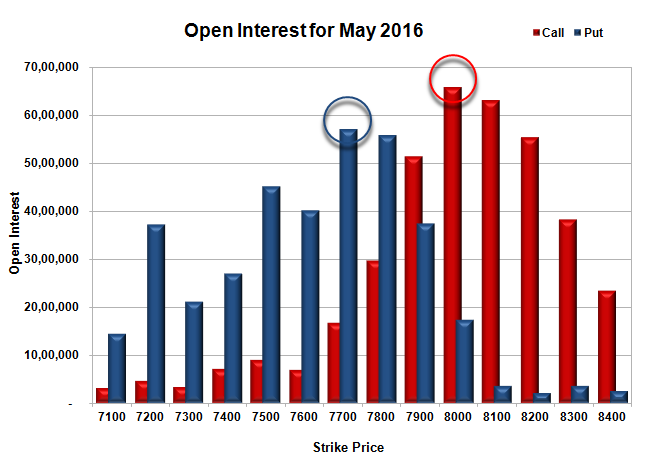 Nifty Open Interest is at 1,70,43,975 up by 3,23,625, with increase in price, most probably long build-up. 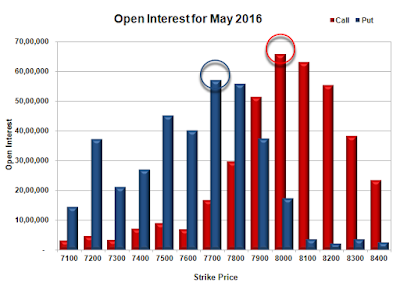 Bank Nifty Open Interest is at 17,76,240 up by 1,18,620, with increase in price, most probably long build-up. 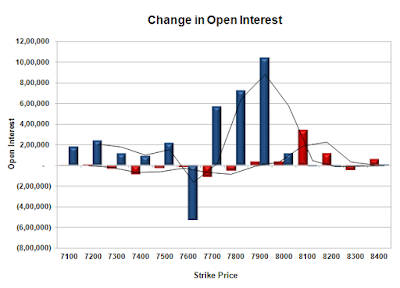 FII’s bought 7573 contracts of Index Futures, which includes net 11039 contracts long build-up and 3466 contracts short build-up, with increase in net OI by 14505 contracts, includes 27805 longs to 20232 shorts for the day. FII’s Index future open contract as on date is 141304 Longs to 98489 Shorts, Net 42815 up by 7573 contracts. Initial strong support at 7800, with OI of 55.89 lacs and below that at 7700 with OI of 57.16 lacs. Initial and best resistance at 8000, with OI of 65.78 lacs and above that at 8100 with OI of 63.16 lacs. Day Range as per Option Table is 7826 - 7958 and as per VIX is 7833 - 7968 with 7889 as the Pivot.